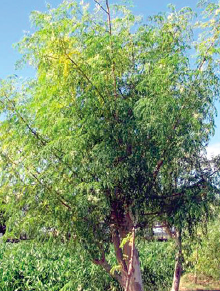 the yard-long variety of moringa (malunggay) among teachers and schoolchildren in Region 1. This development partnership was outlined in a memorandum of agreement between MMSU president Miriam E. Pascua and DepEd Schools division superintendent Marino S. Baytec. The two have agreed to lead their respective agencies in producing seeds of this variety which will be given free to interested elementary and secondary schools in Region 1, and to assist small-scale farmers, primary and secondary schoolteachers, and other enthusiasts in the production of malunggay seeds and seedlings. MMSU researcher Mario Remolacio is being tapped as the project leader, in place of Dr. Heraldo L. Layaoen, former MMSU vice president for planning, development and external linkages, who recently retired from MMSU. Dr. Layaoen spearheaded the propagation of the yard-long malunggay, which was brought into the country from India. 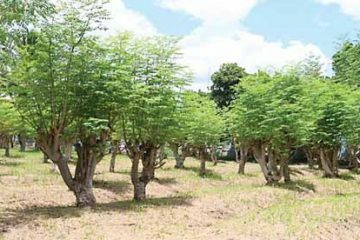 Remolacio said project aims to introduce the new variety of moringa, which has longer fruits and better eating quality than the native variety. “It is also one way by which we can promote malunggay as a nutritious plant to the school children and to expand the existing malunggay plantation in Batac, Ilocos Norte to augment the supply of fresh malunggay leaves in the region and the needs of those companies which process malunggay powder for various food products,” he added. 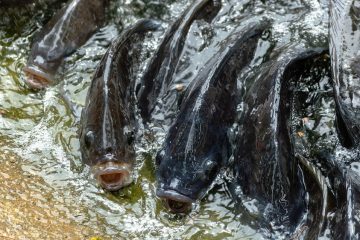 The project has a R1 million budget allocation from the Department of Agriculture – Bureau of Agricultural Research (DA-BAR). 5) Advocate the use of malunggay leaves and fruits in the proper nutrition of the family. Photos on top show driedmalunggay leaves ready forpowdering, while photos belowshow its byproducts. production activities in the pilot schools. The yard-long malunggay was brought into the country in December 2005 by Beatriz Dar, wife of Dr. William D. Dar, executive director of the International Crops Research Institute for the Semi-Arid Tropics (ICRISAT) in Andra-Pradesh, India. 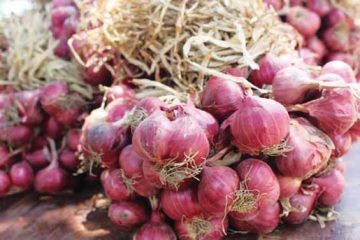 Beatriz Dar collected the seeds from an old village in ICRISAT, Patancheru, Andra Pradesh, and brought these to the country. Some of the seeds were given to Dr. Layaoen, who planted them in Brgy. Bungon in Batac, Ilocos Norte. In January 2006, Dar gave him another 20 seeds, and 10 of these were again planted in Batac, while the other 10 were planted in Sta. Maria, Ilocos Sur—the hometown of Dr. Dar. One of the plants which survived in Batac, Ilocos Norte was identified and selected for its exceptionally long fruits, which were almost 100 centimeters (cm) long. Two more trees were also identified and selected for their big and long fruits, while another two were selected for their heavy fruiting characteristic. Except for the one that produced 100 cm fruits, the other four produced fruits that were only about 70 cm long. Leaves of the yard-long variety are finer than the local malunggay and, according to those who tasted it, also more palatable. “The pods are fleshier than those of the local variety,” said Remolacio as he showed samples of the fruits during the signing of the MOA at the MMSU conference room. Tests showed that the selections are three times leafier and bear fruit all year round while the local variety bears fruit only during the dry months. Thus, these attributes make the yard-long malunggay a better vegetable than the local variety. Dr. Layaoen recalled that there was originally no intention to multiply the plants. But when people saw them and started to ask for planting materials, limited seed production began. The survival rate of cuttings, based on his experience in Batac, is very low; he mentions that some visitors from the University of the Philippines in Los Baños cut a branch, but he never found out if it survived. The roots of cuttings tend to rot and eventually die at three months after planting. 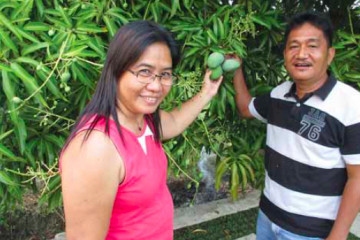 On the other hand, trees of yard-long malunggay propagated from seeds bear fruit at six months after planting. locations of the country through the Technology Commercialization Unit (TCU) of the DA-BAR so that we can share the benefits derived from the improved malunggay,” Dr. Layaoen said. At present, there are enough seedlings in the MMSU nursery for a one-hectare malunggay plantation, which will serve as initial seed production area. After one year, the area will be increased to five hectares. 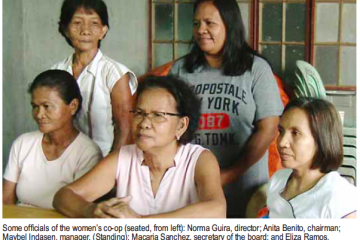 Selected members of the Bungon Seed Producers Multi-purpose Cooperative (BSPMC) are now being tapped to produce all the seed requirements and seedlings for those who come from Ilocos Norte. The distribution of seeds will, however, be managed by the Technology Commercialization Unit (TCU) of the Department of Agriculture – Bureau of Agricultural Research (DA-BAR) through its Regional Field Units (RFUs), or the provincial agriculturists and DepEd superintendents in the concerned province or city. The management farm will be the responsibility of the DepEd with the assistance of anagronomist/horticulturist, an entomologist/pathologist, and two of their staff members. Seed production farms must be well fenced. MMSU experience with the current mother plants showed that the long pods (fruits) attract the interest of passersby, which resulted in their premature harvest. All the pods are allowed to mature and dry on the branches. Only fully dried pods are harvested in the afternoon and are hand-threshed immediately. The seeds are placed in net-bags and dried further under intense sunlight for one day, after which these are placed in jars with wood ash on top of the seeds. The seeds are repacked in plastic pending requests for shipment by those who need them. Seeding production of mother plants will be done in a 10 meter (m) x 20 m screen house which will be constructed upon the release of funds. Seedlings will be distributed to the seed producers of BSPMC. Seedlings for the five hectare plantation in Brgy. Bungon will be the priority. After the five-hectare area is planted, seedlings will be distributed to selected primary and secondary schools in Ilocos Norte and Ilocos Sur. 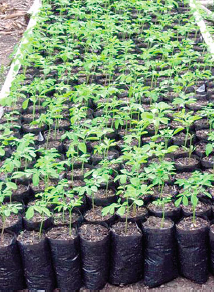 Seedlings for other provinces will be produced in selected pilot primary and secondary schools which offer agriculture or gardening subjects in their curriculum. Malunggay is not only used as food but also as medicine. The mature seeds are swallowed in the belief that they can cure arthritis. In the Ilocos region, the leaf juice is used to stop the bleeding of cuts in humans and animals. 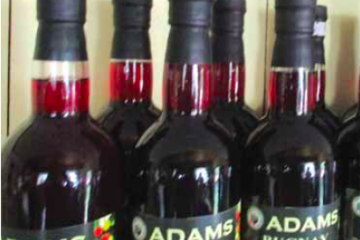 It is also used to cure contusions and bruises. 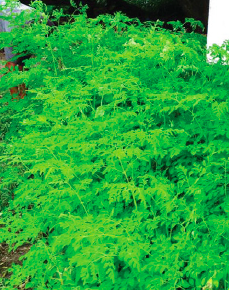 Now, malunggay is promoted as a crop for health and wellness. According to Hartwell (1971), the flowers, leaves, and roots are used in folk remedies for tumors, particularly the seed for abdominal tumors. The root decoction is used in Nicaragua for treating dropsy. Root juice is applied externally as a rubefacient or counter-irritant. Leaves applied as a poultice to sores and rubbed on the temples for headaches; it is also said to have purgative properties. The bark, leaves, and roots are acrid and pungent, and are taken to promote digestion. The oil is somewhat dangerous if taken internally, but is best applied externally to treat skin diseases. The bark regarded as antiscorbic and exudes a reddish gum with properties called tragacanth, a compound used against diarrhea. The roots are bitter and can act as a tonic to the body and lungs. Per 100 grams (g), the pod is reported to contain 86.9 g water, 2.5 g protein, 0.1 g fat, 8.5 g total carbohydrate, 4.8 g fiber, 2.0 g ash, 30 milligrams (mg) calcium, 110 mg potassium, 5.3 mg iron, 184 IU Vitamin A, 0.2 mg niacin, and 120 mg ascorbic acid. and a pectinesterase, are also known to be present. This story originally appeared in Agriculture Monthly’s July 2014 issue.